SAP Convergence Project; Enchange provided a team to support implementation. Enchange role – expert support; project managed implementation in one cluster. Tasks included assisting process owners & key users with blueprint development, training & testing system conversion before go-live. Enchange role – expert resource on an ‘as-required’ basis. 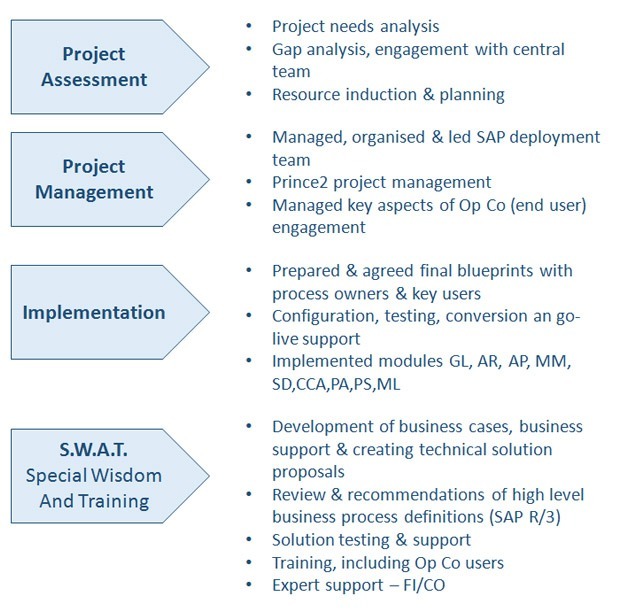 Tasks included evaluation of End Market readiness, documentation of gaps from European template, change request review and monitoring, training, SAP optimisation support.